People who do things in a big way often get my attention, and I have been fortunate to meet quite a number of folks well-known in a variety of fields. One such occurrence was meeting Wilt Chamberlain, along about 1974, during my days at East Carolina University. Wilt had recently published the first, and less sexually graphic, of his two autobiographies. 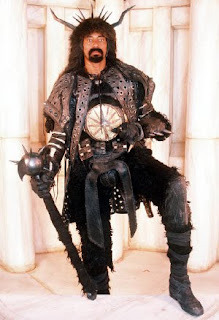 Of course, even though he was freshly retired from a long career in pro basketball and being in the public eye, he still was a young man, so maybe the count of his conquests was only 8 or 10 thousand by that point. As a 19 year-old interested in sports, I was very aware of him and had seen him on television and magazine covers practically my whole life. Shortly after reading Wilt’s book, I heard on the radio that the newly formed Carolina Cougars of the renegade American Basketball Association would be hosting in Raleigh the San Diego Conquistadors, coached by none other than Wilt Chamberlain. A friend of mine from back home, Pete, was a student at N.C. State University, where the game would be played. I called Pete to tell him I was buying tickets and coming over so we could attend the game. Somehow, I linked up with a couple of other ECU students who were going, and they had room for me in their car. At the time, N.C. State was a national college basketball powerhouse, so on the night of the game Pete and I stood in the lobby of the coliseum beforehand admiring some of the spoils of their success, carefully encased and preserved. 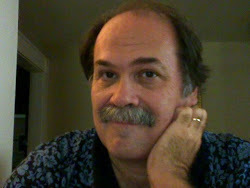 As I was oooing and ahhhing, Pete quietly said, “Turn around,” trying to make inconspicuous darting motions with his eyes. I turned expecting to see an attractive female. Instead, I was looking at the third button of a man’s shirt. I’m taller than the average person, so I notice those of greater height. When a person is almost a foot taller, though, I find it downright disorienting. I peeked up from the shirt filling my field of vision and Wilt was looking down at me. Why he was standing in the lobby at that moment, I only can speculate, and maybe his second book provides a hint. All I can say, though, is I was completely in awe of his appearance, the familiar famous face, though not quite nose to nose, staring into my eyes. Thinking fast, I held up my program book and asked if he would sign it. He quickly glanced around the crowded lobby, suddenly grabbed my elbow and started walking. 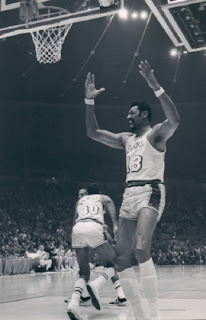 I can report from personal experience: when Wilt Chamberlain took you by the arm and began to move, he was leading the dance and all you could do was follow. He swept me down a side hallway as he said, “Hey man, I have to go. I’ll catch you after the game.” Then he allowed me to regain control of my own body and was gone, ducking quickly through an unmarked door. As I said, he physical presence was overwhelming, and I always laugh when I recall something I read several years later. Wilt was cast in one of the Arnold Schwarzenegger Conan the Barbarian movies as some kind of warrior. According to the story, he was preparing to shoot a scene in which he was to ride a horse. Well, as huge and intimidating as he was in a basketball uniform, when he was decked out in the warrior regalia it apparently was too much. The horse on which Wilt was supposed to ride in the scene saw him approaching, did a double-take, and took off running in the opposite direction. The movie was on hold until they could catch the horse, which apparently took a while.